I always THINK that I have brilliant ideas, until I google them and see that I am not the only smart person in the world! I love sweet potatoes and figured to try them in a quesadilla style. These were out of this world, delicious! 2. On a greased baking sheet, place a single layer of the sweet potatoes. Season potatoes with salt and pepper. 3. Using a brush, spread olive oil on top of sweet potatoes. 4. Bake in oven for 20 minutes, or until soft. You can use a fork to check for softness. 5. 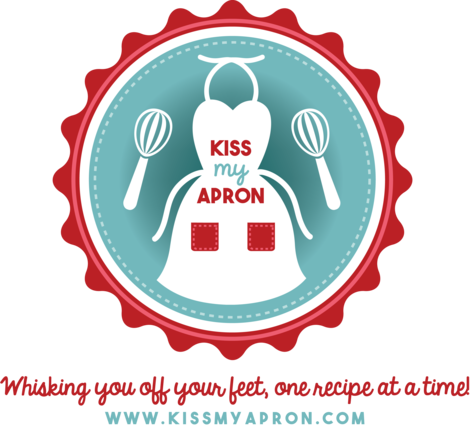 While your potatoes are baking, preheat a saute pan with 1 tbs olive oil. Once hot, saute spinach for 2-3 minutes, or until wilted. Remove spinach. 6. 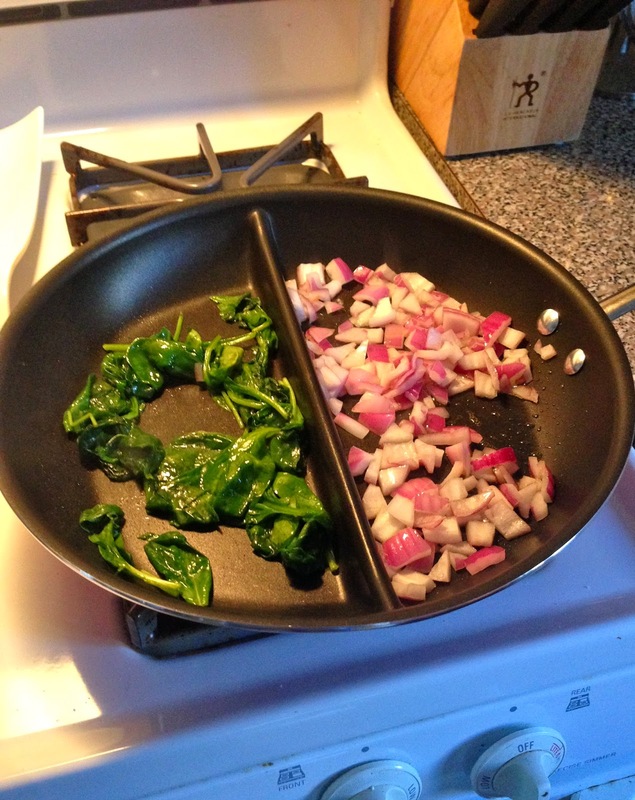 Using the same pan, saute red onion for 2-3 minutes. 7. 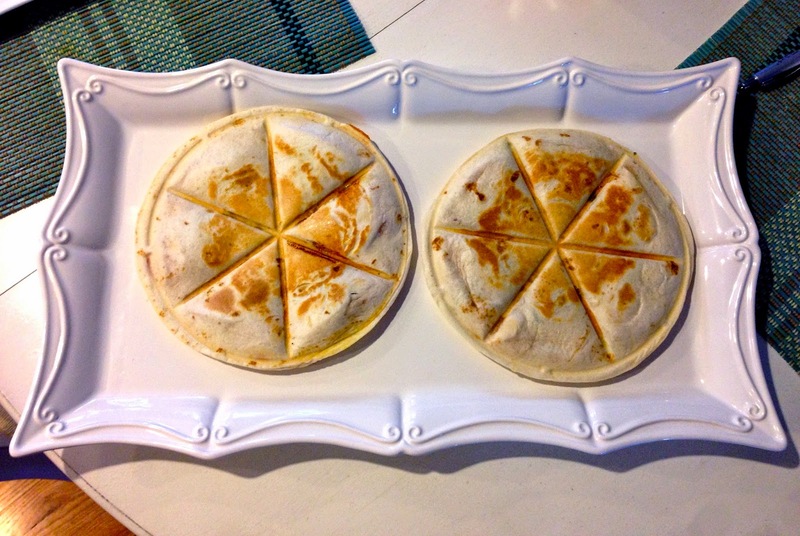 Build your quesadillas. 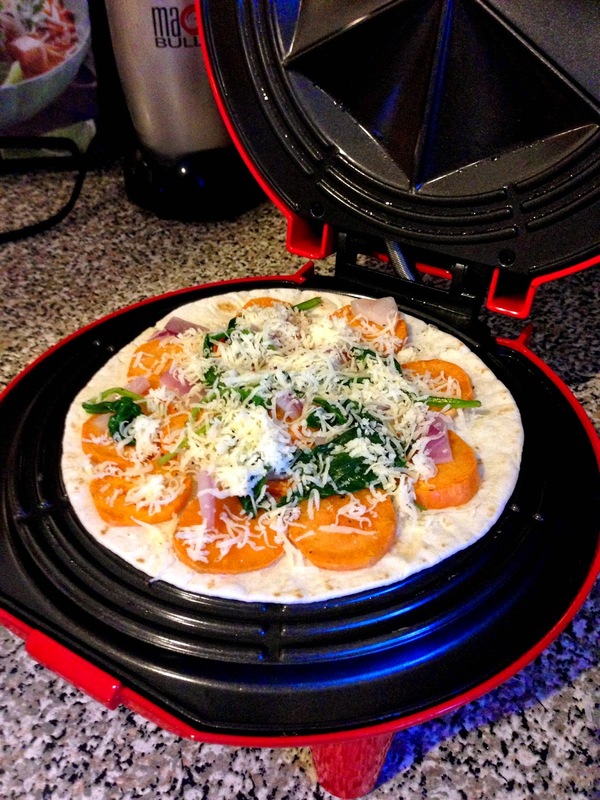 Using one tortilla, place layer of sweet potato - add spinach and red onion - top with Gruyere cheese. 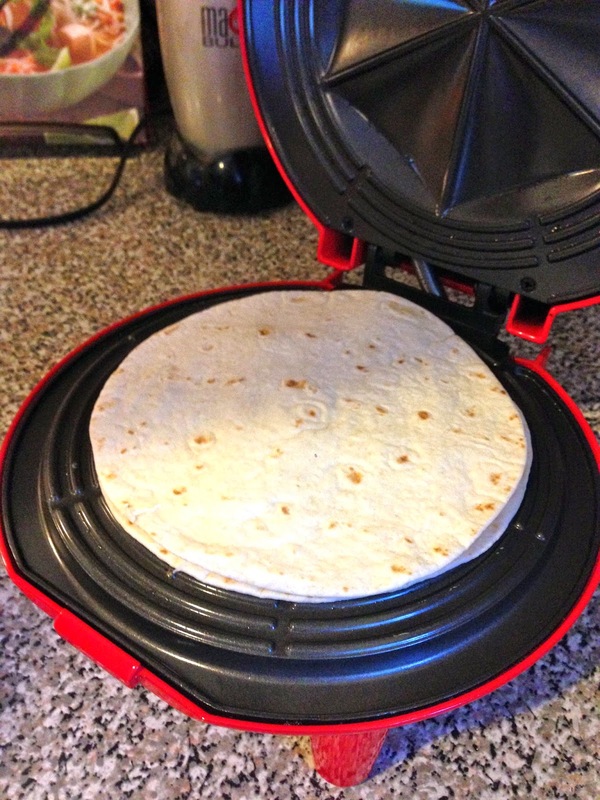 Place second tortilla on top and cook in quesadilla maker (or fry pan) for 2 minutes. * If you are using a fry pan, flip tortilla after one minute.